Trying to clear some of my pantry ingredients. 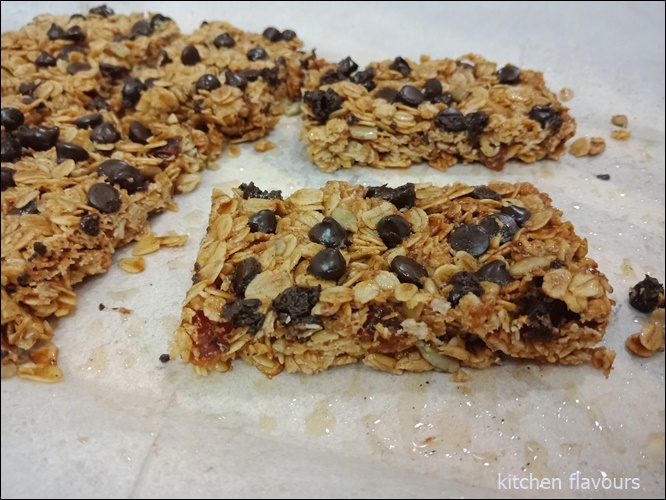 Made these Muesli Bars. Chewy, not too sweet and so yummy! Smells so good while it was baking. Rather addictive to snack on, it was hard for me to stop at just one! Preheat oven to moderately slow. Grease 20cmx30cm lamington pan, line base and two long sides with baking paper, extending paper 2cm above edge of pan. Combine butter, sugar and honey in medium saucepan; stir over low heat until sugar is dissolved. Transfer butter mixture to medium bowl, stir in oats, sunflower kernels, coconut, cinnamon and apricots. Press mixture into prepared pan, sprinkle with Choc bits. Bake in moderately slow oven about 30 minutes or until browned lightly. Cut into pieces while still warm, cool in pan. Recipe number 3, Roasted Squash Hummus, from Everyday Dorie, at Cook the Book Fridays. I love hummus but the only hummus I've ever tried are the ones made from chickpeas. So I was looking forward to make this Roasted Squash Hummus, using butternut squash. To make this hummus, butternut squash are first roasted till tender, mash into a puree, then stir in the tahini, pomegranate molasses (I've used pomegranate concentrate, using only about a teaspoon), za'atar, salt, pepper, cayenne and lemon juice. 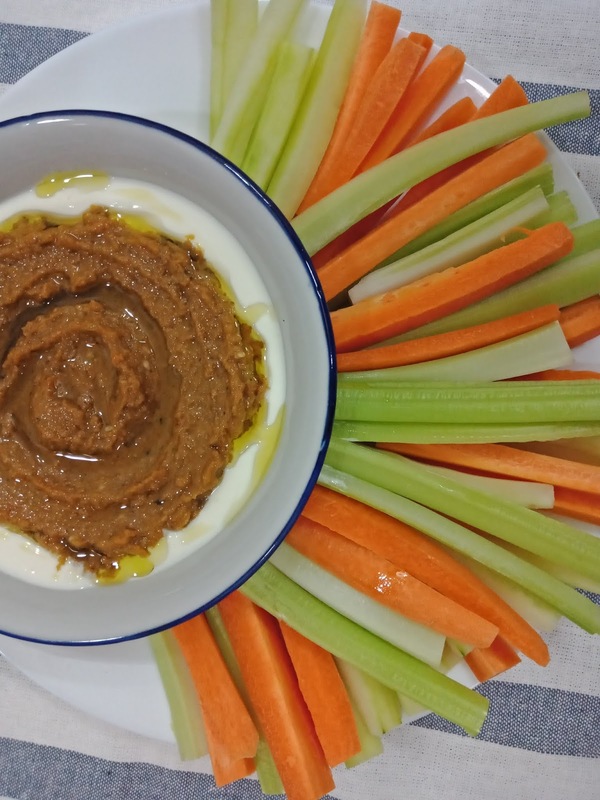 To serve the hummus, spread a layer of Greek yoghurt in a small serving bowl, and top with the hummus. Drizzle some olive oil over, and scatter over some pomegranate seeds, of which I have omitted as I did not have any. The hummus can be served with pita or as a dipper for fresh crunchy vegetables. This hummus is on the sweet side rather than savoury and I wasn't keen on the flavour. I'm a fan of savoury hummus, so this is just not for me. 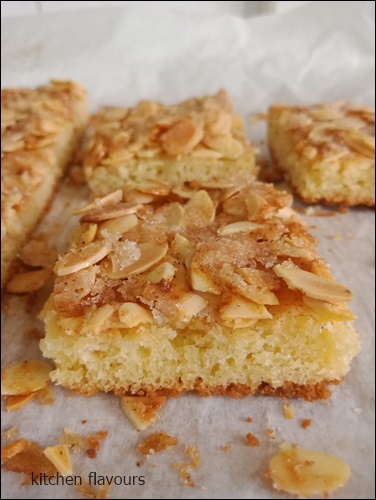 Butterkuchen has a yeasted bread-like base (enriched with butter and eggs), with the topping of more butter, almond flakes and sprinklings of sugar. 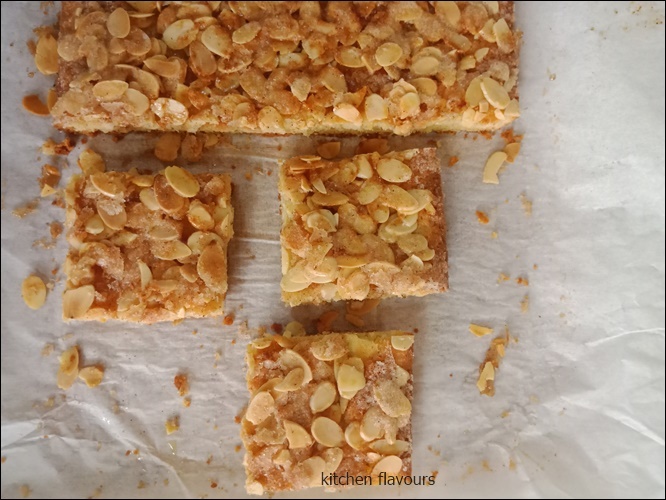 The cake bakes up to a puffy, chewy bread-like cake with crispy toasty sweet almonds topping. Very addictive! Another keeper recipe from Classic German Baking! 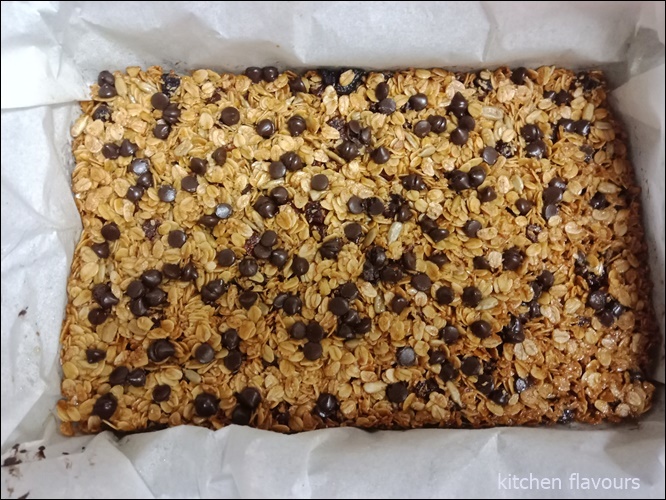 Line a 9 by 13-inch/23 by 33cm metal baking pan with parchment paper, letting the sides hang over the edge to function as a sling after baking. To make the cake : Place the yeast, sugar, flour, grated lemon peel, salt, butter and eggs in the bowl of a stand mixer fitted with the flat beater attachment. Beat together for several minutes, until the dough is shiny and starts flapping around the bowl and heaters in larger chunks. The dough will be quite soft but should no longer be sticky to the touch. Alternatively, you can make the dough by hand. Mix the yeast, sugar, flour, grated lemon peel, and salt together in a large bowl. Make a well in the middle of the flour and crack in the eggs. Stir the eggs into the flour with one hand and start adding the soft butter, having cut it into chunks. Knead the dough together in the bowl until it comes together, then scrape it out onto a lightly floured work surface and knead until smooth and no longer sticky. Resist adding too much flour, you want the dough to remain soft and slightly floppy. Scrape the dough together and form into a smooth ball using your hands. Place the dough in the middle of the prepared pan and cover the pan with a clean dishcloth. Set aside in a warm, draft-free spot for 1 to 2 hours. the dough will not necessarily double in size, but it should be quite puffy and soft to the touch. Preheat the oven to 375F/190C. Using the tips of your fingers, push the dough down gently into the pan so that it lines the entire pan evenly, or remove the paper form the pan, lay it on your work surface, and roll out the dough until it fits the indentations of the pan on the paper, and then transfer the paper and dough back into the pan. The dough will be very thin. Using your fingers, dimple the surface of the dough all over. To make the topping : Cube the cold butter into 1/4-inch pieces and drop the cubes evenly all over the cake. It will seem like a very large amount of butter. Scatter the almonds evenly all over the cake. Mix the sugar, salt , and cinnamon together and scatter evenly all over the cake. Place in the oven and bake for 25 to 30 minutes, or until the topping is golden brown. Remove the pan from the oven and let cool on a rack for 10 minutes. Using the parchment paper as a sling, lift the cake out of the pan and place it on a cutting board. Cut into squares and serve warm. This cake is best eaten the day it is made.